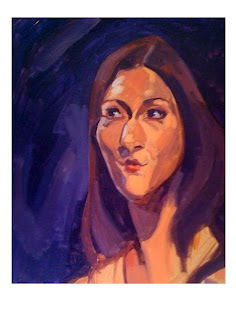 A caricature oil painting from John's class. Thanks for stopping by Neysa. Yes! So glad you put this one up. Love the purple tones throughout. Hi Eric and Jeff. Glad you like it.Thank you.